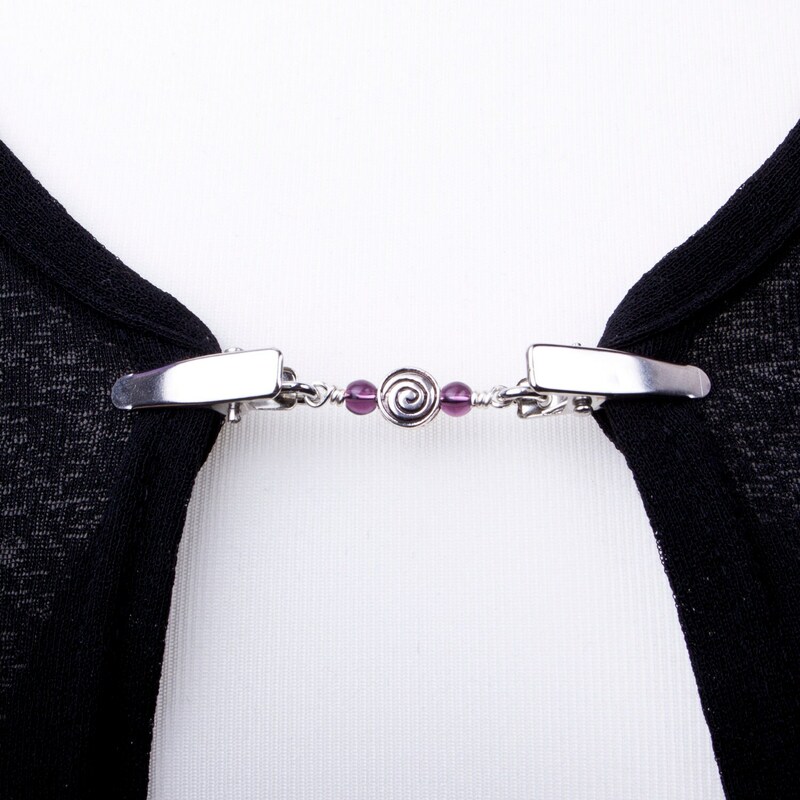 Tibetan silver spirals and purple glass beads are linked on to silver tone clips. This useful little clip chain can be used to hold together a buttonless cardigan, shawl or pashmina. You could even use them at the back of a top that is too big to make it more fitted, or as an ID badge holder.